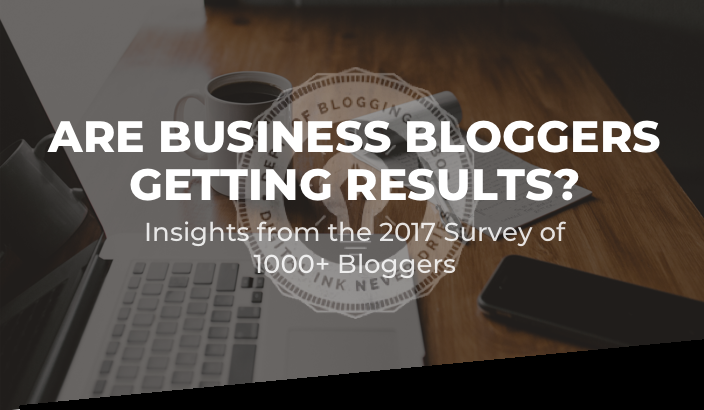 2017 marks the fourth consecutive year Orbit Media Studios has tapped the insights of 1000+ business bloggers to publish a research report on blogging statistics and trends. "Bloggers are reporting stronger results from content marketing," says Orbit Media’s co-founder Andy Crestodina. "When asked to report on the effectiveness of their efforts, almost 30% of respondents reported 'strong results.' The vast majority of bloggers are seeing rewards from their efforts and meeting their goals, whatever they might be."